A Renault Duster with Moscow's St. Basil's Cathedral in the background. The global reach of Renault’s budget-car program, which was dreamed up by former Renault CEO Louis Schweitzer in the late 1990s, was very much in evidence at the recent Moscow auto show where seven models underpinned by the automaker’s B0 low-cost platform were on display. The entry-level cars are sold in global markets under four different brands: Dacia, Renault, Nissan and Lada. 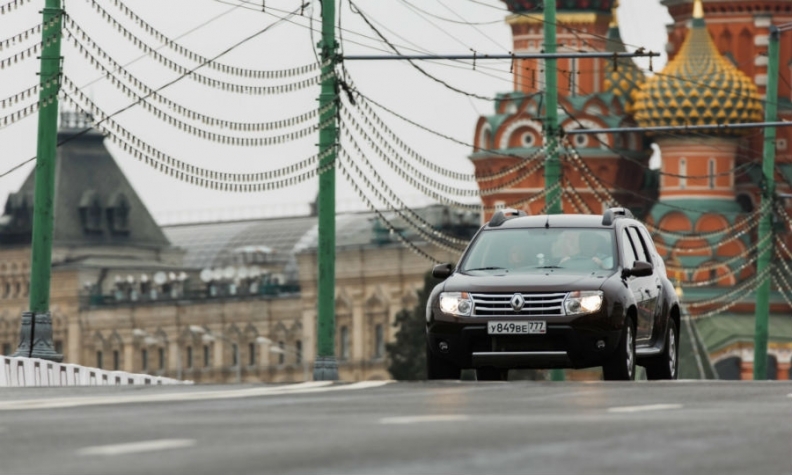 Interestingly, none of the cars shown in Moscow wore a Dacia badge. Renault’s Romanian subsidiary was the first to market with a car underpinned by the B0 platform -- the Logan sedan, which was launched in 2004. Moscow show visitors could see three models that are sold as Dacias in Europe -- the Logan, the Sandero hatchback and the Duster SUV. In Russia, these cars wear Renault badges. Nissan also sells mildly tweaked Logans and Dusters in Russia under the Almera and Terrano names, respectively. Lada, whose parent AvtoVAZ is controlled by Renault-Nissan, sells station wagon and panel van versions of the Logan MCV badged as the Largus. The B0 platform has been an unexpected global success, with more than 1 million units built last year. The project is now maturing and in the future Renault, Nissan, Dacia and Lada will not sell the exact same car with a different badge. Renault design boss Laurens van den Acker told me at the show that the second-generation Logan and Sandero, which are already on sale, were designed with the idea that they would be sold as Dacias and Renaults. The latest Logan and Sandero were given a specific hood, headlights and bumpers for the Renault brand so that they have the same visual identity as the rest of the new vehicles in Renault’s lineup. For the third generation, van den Acker would like the low-cost cars sold by Renault, Nissan, Dacia and Lada to get an upper body specific to each brand, though this may be difficult to do on a budget platform. "This is my personal long-term view," he said. "Cross-badging is a short-term strategy only. You cross-badge to gain market share quickly or to get into a market and establish yourself rapidly." 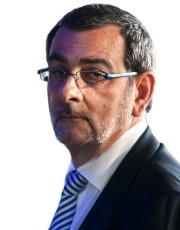 Van den Acker, 49, worked for Ford, Audi and Mazda before replacing the legendary Patrick Le Quement as Renault design chief five years ago. To differentiate Renault and Dacia models, van den Acker's design philosophy is to give Renault-brand cars a more Latin look and to keep and further develop the Germanic styling of Dacias. Renault is sensual and emotional while Dacia is robust, he said.